My Florere Cream Deodorant samples sat in my stash drawer for a couple years before I started using them a few months ago. I’ll admit I was not drawn to the idea of applying a cream deodorant with my fingers: add to that a dose of skepticism, and you’ve got my (unfounded) reasons for the samples remaining untouched for so long. 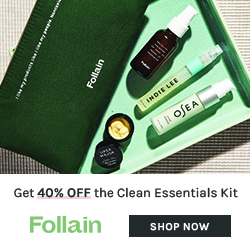 It wasn’t until I read a glowing review of Soapwalla’s Deodorant Cream over at Fig+Sage, that I thought to myself, “I know I’ve got a cream deodorant somewhere around here!” Luckily, I found my Florere samples quickly and started using them immediately. Cynthia, the owner of Florere was nice enough to send me a fresh jar as I wanted to be sure of the smell and consistency for my review since my older samples were well, old. My new jar of cream’s gentle lavender scent is a tad stronger than the older samples, but there is no difference in efficacy between the two, attesting to the longevity of Florere’s product. Soapwalla’s cream also smells of lavender with added peppermint and tea tree oils that are subtle and nicely blended. Both deodorant creams are exceptional. Aside from the subtle variation on scent, there is no difference in terms of performance. They are both easy to apply, leave absolutely no whiteness on the skin, and hold up in all heated situations. I’ve worn both to dance class, on the treadmill, gardening in the sun, at work, etc. They’ve held up to every deodorant challenge I could muster. As a huge plus, neither cream deodorant interferes with my fragrances. I continue to use my Dr. Hauschka Deodorant as the convenience of rolling on my deodorant comes in handy when in a rush to get out the door. Florere does have a solid stick option which I have not tried, but I’m sure it works just as well as the cream since it has the same ingredients save for added palm tree wax. But let me say this, the few extra moments it takes to use a cream deodorant is worth it, thanks to Soapwalla and Florere. 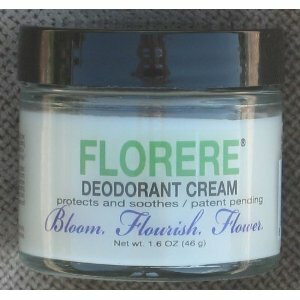 Florere Cream Deodorant ingredient list: Soothing unrefined Shea butter, sodium bicarbonate (Naturally occurring earth mineral deodorizer), cocoa butter, coconut oil. Essential oils of lavender and clary sage. Tincture of lemon balm, lavender flowers and ecologically wildharvested benzoin. Soapwalla Cream Deodorant ingredient list: Organic jojoba, rice bran, and rosehip seed oils; shea and/or mango and/or mowrah butter; a combination of all-natural and gluten-free vegetable clays and powders; aluminum-free sodium bicarbonate; organic vegan kosher glycerin; a combination of essential oils including organic lavender, peppermint and tea tree oils. You can receive a 10% discount for your readers with the following code: SCENT10 (put it in the comments section on the Etsy purchase page, and you’ll be refunded the 10% right away). Good through July 15, 2010. 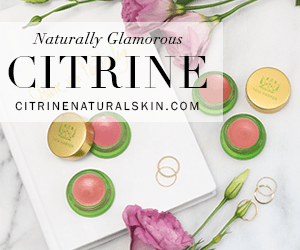 Disclosure: Samples from Florere and Soapwalla were provided for this review. The opinions in this review are my own. I was not financially compensated for this review or any other. Thank you for reviewing these! I recently started using natural deodorants and can’t wait to try these. I just placed an order for a jar of the Soapwalla. 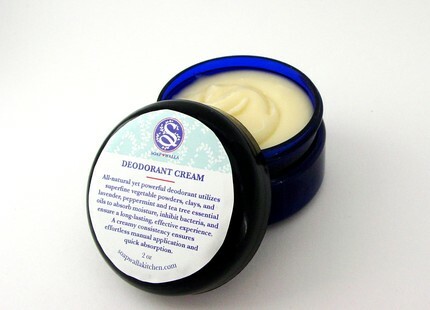 I’m currently using the Soapwalla deodorant and LOVE IT! It really is the deodorant I’ve been looking for all my (adult) life! 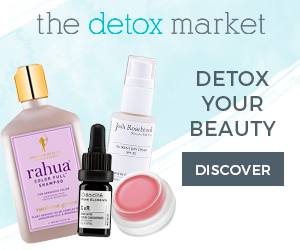 I even love the application process – rubbing essential oils and other goodness over and into a much neglected area, I discovered underarm love 🙂 Have just found someone who makes a similar product locally though so I must say I’ll be trying that next, but I heartily second your Soapwalla recommendation. I know what you mean! It’s pampering in a utilitarian kind of way. I hope your locally made cream deod works out for you, it’s always nice to support small local businesses. Thank you for reviewing these- I switched to cream deodorants over a year ago and use Kiehl’s superbly efficient cream deodorant- and I love it- will never go back. I know what you mean about applying it with your hands being weird- but now I just incorporate it into my routine right after I get out of the shower and it’s not a problem. I will definitely try the brands above. Thank you! Hi J! Thanks for stopping by. I just saw your adorable pregnancy picks over at you blog. You look amazing!!! Oh, I have been having deodorant issues for a while now and haven’t known what to do about it. Thanks for this review…I’ll check them out! Much love!!! I started using soapwalla a few weeks ago. It was great at first and it seems to be with all the natural deodorants that I have use in the past. A week after I started getting a rash. I did not use it after I shaved so I don’t think that’s the problem. I stopped using it for a few days and my rash got better. This week I started using it again and the same thing is happening. I wish I knew what it is that I am allergic to since the ingredients are natural. I ordered the deodorant from Melvita but have not receive it yet. I hope I have better luck this time. I am glad is working for other people. I had the same issue. I was really disappointed too, because I love the scent and it seemed to work well. I’ve tried using them off and on for about 6 months, but always end up with a rash after a few days. I’m also not sure what ingredient in them I’m allergic to. Bummer. I am needing to locate a new deodorant & am looking forward to giving these a try. I have had a bad reaction to some of the other natural deodorant’s on the market, sadly…..
Let us know how it goes! I find them both to be very good options.